If a cozy, cold-weather wedding sounds totally dreamy, check out these winter wedding venues in Maine. 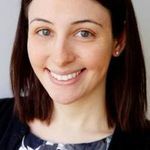 Finding winter wedding venues in Maine can be a difficult task, as many Maine wedding venues close for the off-season due to the state’s very cold, snowy winters. However, a winter wedding in Maine can be quite charming and cozy—provided you find a venue that’s up to the task. Turns out that several of the best wedding venues in Maine are indeed open during the colder months (some even offering discounted rates! ), providing indoor and outdoor spaces for your perfect wedding. 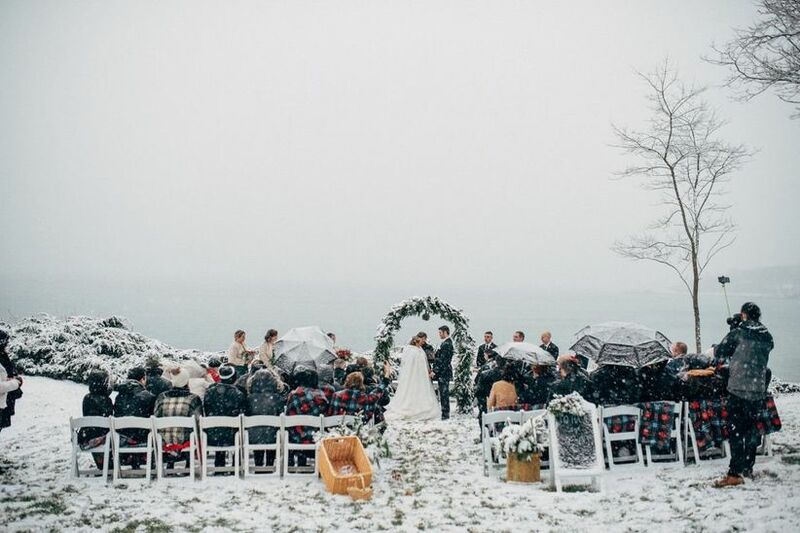 Check out some of our favorite winter wedding venues in Maine. 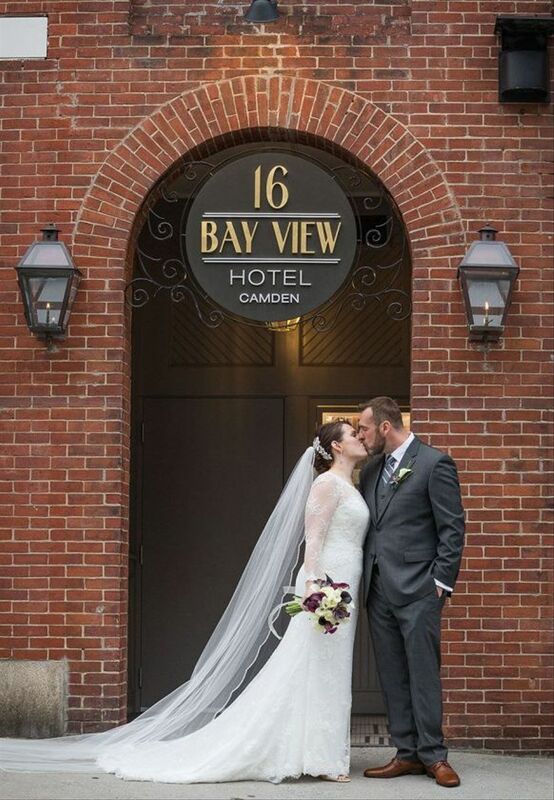 While this venue is known for its oceanfront wedding ceremonies, the York Harbor Inn is also an ideal winter wedding venue in Maine. If you and your guests are willing to bundle up, you can still host an outdoor ceremony here, but there’s also plenty of indoor space. There are several reception rooms to choose from, including the intimate Hillcroft Room, which can accommodate up to 40 guests and is ideal for rehearsal dinners, the Main Dining Room, with a capacity of 120 guests, and the Yorkshire Ballroom, which can host up to 150 guests. This all-inclusive venue offers a variety of wedding packages to suit any budget. 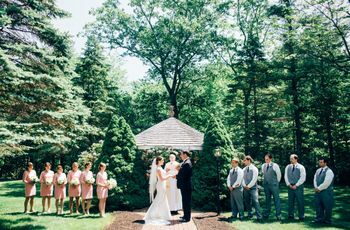 For a smaller wedding, this Camden, Maine wedding venue is ideal. In particular, we love the industrial-chic vibe, with exposed brick and ironwork. The Curtis Bok Room is the hotel’s main banquet room, able to accommodate up to 100 guests for a seated dinner or 140 for a cocktail-style reception. The rooms can also be divided into smaller spaces to host different events. There’s also a rooftop terrace, as well as the Vintage Room, a vintage-inspired space for cocktail hour. And if you’re hosting out-of-town guests for your wedding day, this boutique hotel has 21 rooms where your friends and family can stay. 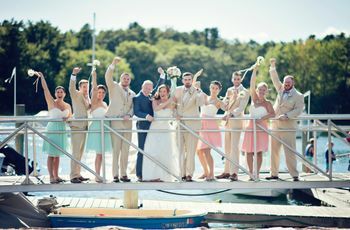 If a woodsy wedding in the mountains is more your speed, check out this resort, located in Lincolnville, Maine. 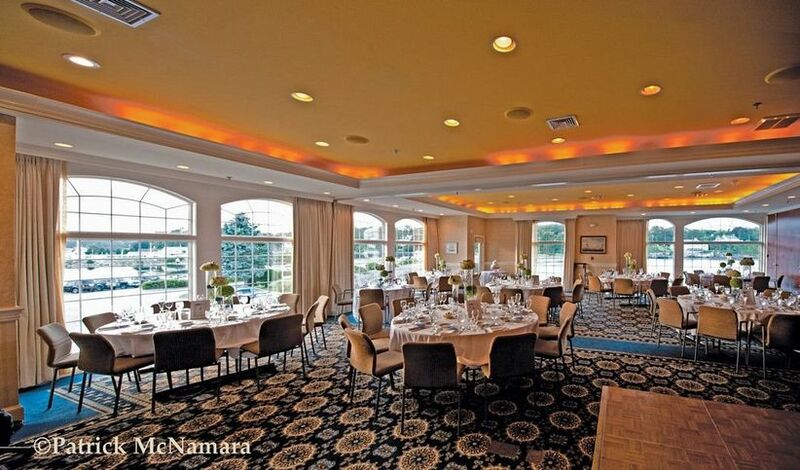 Set on 387 acres and featuring views of Penobscot Bay, this resort offers two reception halls. The Summit facility features mahogany décor, fireplaces, and an all-glass rotunda, while the larger Hedges Hall can seat up to 250 guests with its wraparound veranda, bay views, and two hand-carved antique bars. And if you’re hosting a destination wedding, your guests can stay in one of the 106 guest cabins on the property. This Couples’ Choice Award-winning venue offers on-site catering to make your planning process extra-smooth. One of our favorite winter wedding venues in Maine is this farm, which offers both a rustic vibe and abundant New England charm. Located in the White Mountains, Hardy Farm’s landscape is particularly beautiful during the snowy season—and the holiday décor provides an even more magical touch. Adventurous couples and their guests can enjoy a ceremony atop Pinkham Notch, but of course, an indoor ceremony in the barn is cozy and lovely, too. Wedding receptions are held in the heated barn, as well. 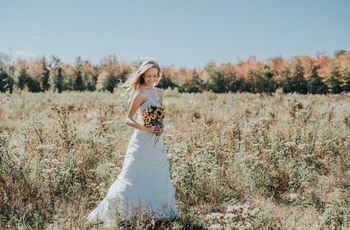 When you’re not celebrating your nuptials, your guests will love staying in the lodge, along with the ample nearby activities, from skiing to dog sledding, and more! 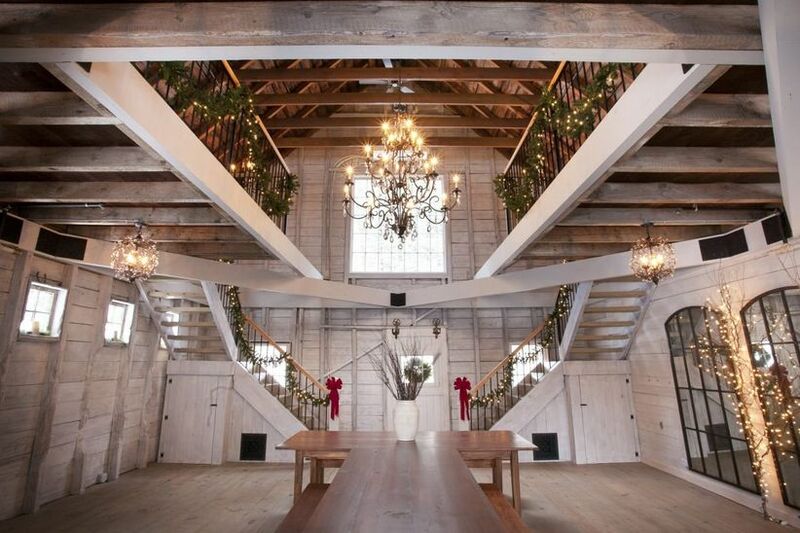 Even though this space has a distinct summer camp vibe, it’s actually an ideal winter wedding venue in Maine. 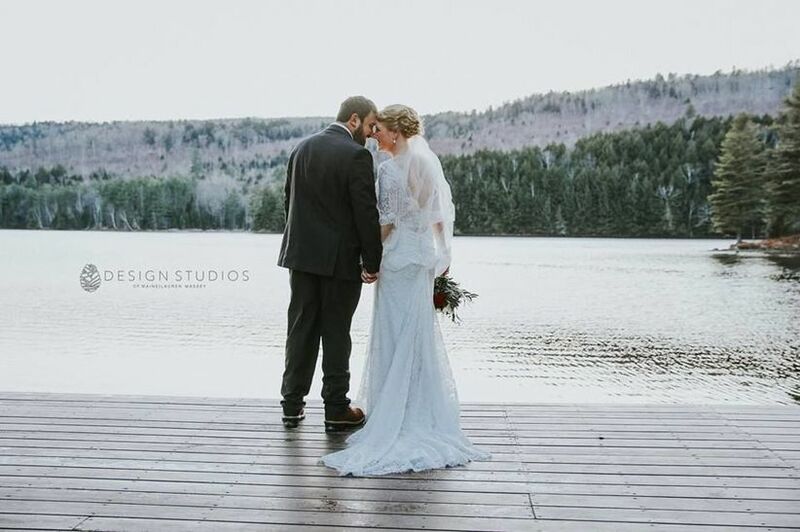 Located on Wyman Lake, this venue is ideal for more intimate weddings and includes on-site catering for your convenience. There are two main venues here: The rustic Barn, which offers space for up to 100 guests for a seated ceremony, and the Lodge, ideal for a reception of up to 112 guests. 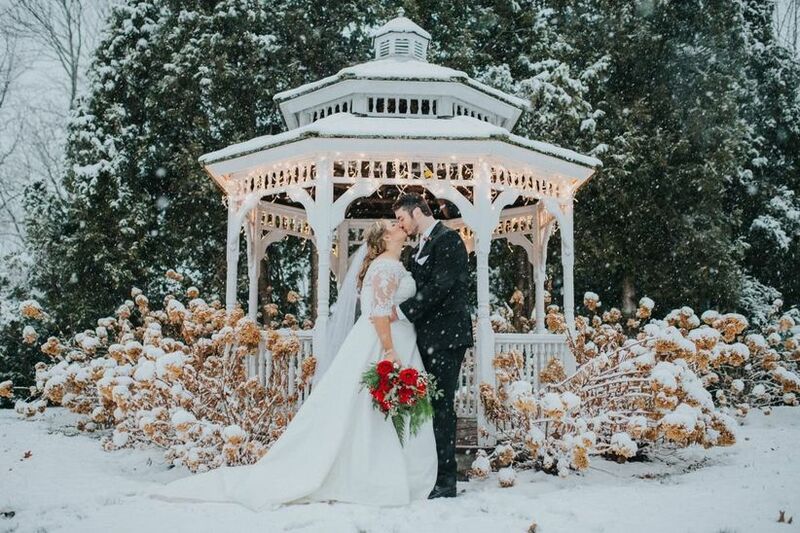 If you’re willing to brave the chilly weather for outdoor wedding photos, there are many stunning photo ops on the property. 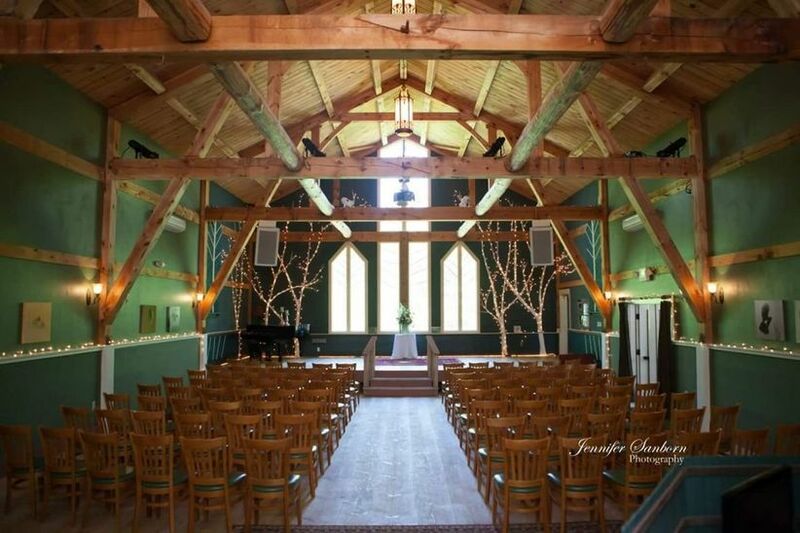 If you’re looking for a winter wedding venue in Maine with a creative touch, check out this unique space, which was originally designed as a performing arts center. There are actually two timber-frame barns on premises, both open year-round for weddings. 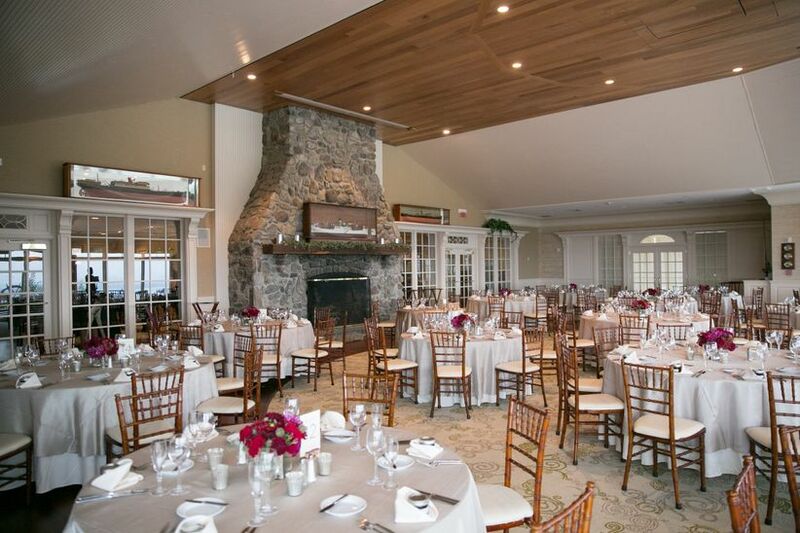 The Maine Room is an ideal ceremony space, as well as the site for dinner. Exchange vows onstage here, with your guests seated theatre-style—and since this is the original concert hall, the acoustics are spot-on. Next, your guests will move into the 200-year-old Quisisana Barn features vintage lighting, a huge bar, and plenty of space for dancing. There’s space for up to 200 guests here, and there are a variety of packages (including catering!) to choose from, along with on-site wedding planning. 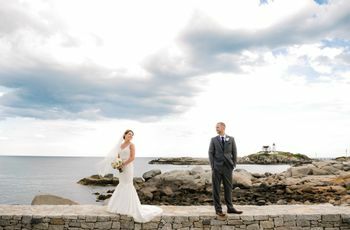 This York inn offers a scenic coastal setting, and is the perfect spot for an intimate winter wedding. And with packages starting at just $125 per person, the wintertime is the most affordable season to host your special day at this in-demand venue. There’s space for up to 150 guests in the Harborview Room, as well as numerous guest rooms on premises where your friends and family can stay. This winter wedding venue in Maine wins raves for the food and the accommodating, professional staff.